Interested applicants should expect to submit an application, complete 2 coding challenges, complete an interview and receive an admission decision a few days after the interview. Prospective applicants can also enroll in AppAcademy’s Bootcamp Prep programs to increase their chances of admission from 2% to more than 40%. App Academy's job search curriculum focuses on algorithms, interview skills, and other technical interview focused skill sets. Upon graduation, students will have a portfolio of real-world projects to show to prospective employers. App Academy offers a deferred payment plan where students are only required to pay tuition if they secure a job upon graduation. Students are only required to pay a placement fee if they secure a job upon graduation. App Academy also has two other pricing models for students — a completely upfront model and a hybrid model that is a combination of the deferred and upfront models. Your full Bootcamp Prep tuition will be subtracted from your initial deposit if accepted into App Academy's full time program under the deferred payment plan. Only applicable for the Deferred tuition option, a deposit of $3k will be required. Lending partnership with Climb Credit available for the Upfront tuition option. Guaranteed placement under the Deferred tuition option. Provided at each step by App Academy. Only applicable for the Deferred tuition option, a deposit of $500 will be required. Guaranteed job under Deferred tuition option. Course Report is excited to offer an exclusive App Academy scholarship for $500 off tuition! Fill out the application below to submit this scholarship to App Academy. By submitting, you acknowledge that your information will be shared with App Academy. You will have to put in a lot of effort. Since the first day I've been at App Academy around 10-11 hours a day, 7 days a week. But I know for sure that I would never have learned as much as I have had I studied on my own. The curriculum is really fast paced and the assessments are stressful. You must ask questions early and often. The instructors are pretty good and so far the job search curriculum has been useful. The only prerequisit to App Academy is loving to code. If you enjoy the process then you will be able to get through this incredibly intense but exciting program. If you aren't all in though, don't try it. This is one of the most time intensive and taxing things I have ever done, think finals week, but every week for three months. The testing structure at the start of the course can be pretty stressful, but most people do get through it and if you fail out they give you your money back, so its not the end of the world. I would not trade this experience for anything though. In such a short period of time I have made friends that will last a lifetime, a skill that will hopefully get me a job, and most importantly the ability to learn and teach myself going forward. Had a great time because everyone wants you to succeed. The enviornment and the amount of knowledge you gain will surprise you. Would recommend. One of the best decisions I've ever made. In going to app academy, I've surrounded myself with ambitious intelligent people who constantly push me to do better. The program is rigorous, but the difficulty definitely breeds camaraderie with your cohort-mates. A few areas of improvement: Ruby on Rails is trending downwards, would loved to have learned Node.js or Go as a backend framework. Also be prepared to go farther with Algorithms & Data Structures than the curriculum as of writing. App academy has positioned me well to succeed. I don't regret it one bit. You will learn more about software development in 12 Weeks than in my opinion you could learn in college. App Academy has given me the tools to be able to hit the ground running. It is an inclusive environment where everyone is encouraging and the teaching assistants give you the tools to succeed. It is a tough bootcamp because you are constantly learning something new and you are pushed to the limit every day. However, it is one of the most rewarding experiences that I have ever had in my life. Being around so many brilliant individuals push you to be better. You will be challenged like never before but it will pay off 10x's over, and you will be incredibly thankful for the experience. In all, it was the best thing I have ever done. Thank you, App Academy. Attending App Academy has been an overall good experience. It can be ROUGH at times (puts the boot in the world bootcamp) but it really teaches you a LOT and prepares you as best as a person could possibly be to go from 0 to developer in 3 months. I feel like part of the experience is being around other cool aspiring developers as well, it's something that you can't really replicate with just some kind of online class or something like that. This program will teach you the necessary skills to be able to create your own websites. It's not for everyone. It's extremely challenging (7 days a week, 12+ hours a day). It's extremely rewarding and difficult. All the instructors were amazing. Job search is ok.
Be ready to give up everything else that is going on in your life, this course needs 100% of your time. They aren't lying when they say the course can take up to 100 hours a week. The teaching is solid and all of the other students are serious about what they are doing and are really smart and capable people. In regards to the curriculum, ruby is a great language to learn the fundamentals of programming. With that said I don't think that it's very useful to teach us about rails when the last few weeks we barely have enough time to learn MERN stack, which seems to be the more relevant stack in the industry now. It's rare that someone is given a genuine opportunity to change everything on a dime. App Academy offers that sort of experience to every one of its attendees. If you're willing to work really hard, day in and day out, for 3 months (plus the time it takes to find a job, which can be a few more, albeit less intense, months) you can go from 0 coding experience to being a capable, well-paid Software Developer. It's not perfect - the ergonomics and ambiance could use an upgrade - but it's totally worth it. You'll learn a lot and make some amazing friends along the way. App Academy is definitely worth it if you're interested in web development. Although it is quite difficult, it is very rewarding if you put in the time to study. I came in with little to no experience in coding. But after going through the curriculum and studying for at least 80 hours a week, I have learned the tools and gained the skills to build a webpage. The instructors are great at teaching the material, and they are always more than willing to help. Overall, I am very glad I decided to attend App Academy. I struggled learning to code on my own. App Academy provided a great environment to learn how to code. This is a very INTENSE program but working with others and having instructors to reference makes the experience all worthwhile. I'd definitely recommend the program to those who are sure they want to become a web app developer. App Academy is life-changing. This was by far the toughest workload I’ve ever had to endure. I constantly wondered day by day if I would survive and understand everything thrown at me. But week after week I was reminded just how much I’ve actually retained and how much I was growing into the software engineer I aimed to be. I went to a different bootcamp a year beforehand and learned a great amount of skills, but going through App Academy showed my glaring weaknesses and helped me build a proper foundation with great guidance from TA's and Instructors. I encourage anyone to apply who is passionate about coding and willing to put in the work. It is nowhere close to easy, but everyone is totally capable. It's no understatement to say that you will literally be eating, sleeping, and coding throughout the entire journey. If you plan on attending, make sure to be mentally prepared to do nothing but study and do code with your time. The extremely fast-paced nature of the course leaves no room for laziness. You have to be at your very best every single day, and, although it will be hard, it'll ultimately make you a better programmer and person. Although the program is very rigorious, it's doable for those with the right mindset. Make sure you study hard, stay curious, and sleep well. Programming requires a lot of logical thinking and sacrificing sleep to study is going to lead to more problems than solve them. There will be many moments, where you're going to feel like you're drowning in the work, but you'll be fine because you've got amazing instructors and peers to help you along the way. After working in the restaurant business for five years, I was skeptical about trying to make the switch into the tech industry. However, let me tell you how my App Academy experience went! After being accepted, I was given a plethora of great material to get up to speed. REALLY STUDY THIS MATERIAL. Taking the time to go through all of it and thoroughly comprehending all of the concepts immensely helps once the cohort begins. The last few weeks leading up to the course start date they have "open house" study sessions with 1-2 App Academy instructors/TAs to help answer any questions. I suggest taking note of the things that give you trouble and having questions prepared in advance to ask the staff in person. There's also a Slack channel where everyone can help each other out. After my first official day, I was surprised by how enthusiastic the everyone was! The culture at A/a really is amazing. All of the instructors and TAs are very patient and super nice. The days are very long but since you pair up with someone new everyday time flies. Stay on top of the homework, get enough sleep, ask a lot of questions and you'll have an exceptional experience. PS: The job search curriculum afterward is where App Academy shines. Just when you thought the program couldn't get any better! There is no exaggeration about how difficult the program is. This isn't specifically in regards to the material, but the entire program itself. Considering that <5% of applicants get accepted and still there are students that get kicked out, it isn't about how difficult the material is. Students get kicked out because they are not prepared for a bootcamp. The full-time program is rigorous, strict, and fast-paced. There is no time to catch up if you fall behind because everyday there is brand new material to become familiar with before the next day. Preparing for a bootcamp comes down to how much time and energy you are willing to completely dedicate to the program. Those that slept enough, ate well, studied hard, minimized distractions, worked on the prep material thoroughly, and remained consistently focused had a better chance at succeeding. The program is designed to teach students many skills in as short a time as possible. It is structured to expose students to new material through various methods and then solidify that knowledge with practical exercises. On top of that, the instructors are more than happy to help every student with any issue. It is clear how passionate they are about programming as well as teaching. The environment is welcoming and encouraging. I have never been taught by a more dedicated group of instructors and I have never learned alongside such hardworking and persistent classmates. Every student is there to strive for success and every instructor is there to help them do it. In the end, I was almost surprised to realize how much I actually accomplished in such a short time. App Academy was one of the more challenging and rewarding experiences of my life. I came to App Academy looking for a change in careers. Previously i have worked in the service and construction industries, with no background in tech. With the help and guidence of App Academy, I have gone from knowing nothing about coding to feeling confident that I have the skills to thrive in this industry. I really enjoyed how they structor their curriculum, with it being mostly pair programming with different partners every day. It gives you a chance to not only learn from the instructors but also your peers, while sharpening your teamwork skills. The TA's are great and enthusiastic to be there to help you along your journy. The cirriculum is very fast pace and at times feels a little overwhelming. But if you ever feel like you are falling behind the TA's have office hours after class is dismissed for the day and even on weekends. So if you are willing to put in extra time they are there and willing to make sure that you fully understand the material. I have attended 2 other full stack web development schools and App Academy is by far the best. Their curriculum is very well structured for the beginner and the advanced students. It really doesn't matter what level you come from, App Academy is challenging but you definitely come out better for it in the end. Other courses I learned how to build applications. That is OK if I wanted to freelance or work for some small start up company. But I have bigger dreams. I want to work for a big 4 (or 5) company and one day start my own company involving tech. In order to do that I needed to have a deeper understanding than putting code together. Ask anyone that works for a big tech company or what makes the difference between a good programmer and a great one. They will all tell you they understand how things work more. I was a self-taught programmer, sort of flailing in my IT/tech support career. App Academy turned me into a software developer and was absolutely instrumental in getting me my first job in the industry. The curriculum is tough. It really is like a bootcamp. You'll be stressed to the max for 12 weeks, but if you make it through you will know everything you need to start working as a developer. Despite the daunting pace and size of the curriculum, it was actually fun to get through the course. Learning something new every day was exciting and never felt tiring. I was surprised to see how much I had absorbed and remembered when actually implementing all that we had learned in the previous few months. The assessments were probably the most stressful parts of the course, but were ultimately necessary. This is a bootcamp definitely worth attending. They are not wrong when they say your days will be long. I recently finished the guided curriculum and it is as intense as it gets! One major concern is that the directions are not written very clearly in my opinion. There will be some out of order, some where you have to follow sentence by sentence, or some where you have to read the entire directions. That kind of inconsistency frequently got me aggravated as I wanted to learn over be challenged in some instances. There will also be almost no time for yourself so be prepared and know what you're getting into. That being said, not once did I ever feel unsupported by either my peers or TAs. The community is probably the most powerful tool you have at your disposal. You will never feel alone whether or not you are the most intelligent person in the room. I am enjoying my time here because at some point (and trust me I was a non believer) everything just... clicked. If you want to go here I suggest ramping up your work ethic and getting ready to have no life for a few months. 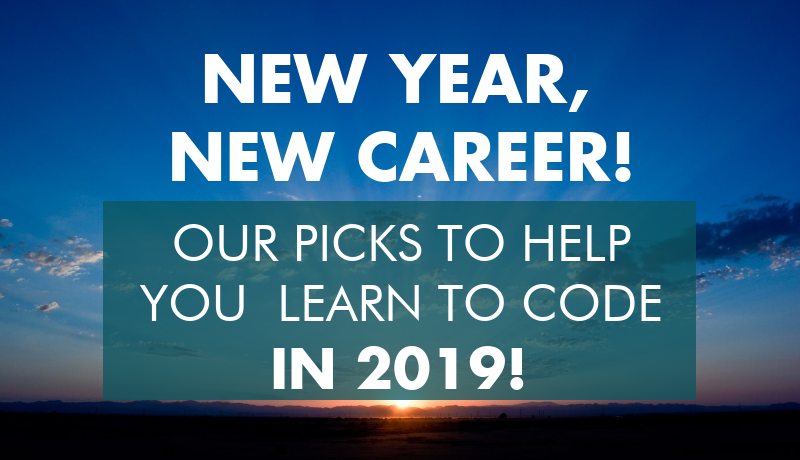 Starts with coding algorithms to introduce you to coding -- revisits the algorithms multiple times throughout the course to make sure you get them fully ingrained, and Walks you through developing multiple full-stack web-projects. App Academy is a success-driven program that is the most difficult career-oriented task I have ever accomplished. App Academy is extremely selective and applicants would benefit from brushing up on algebra, calculus, and statistics before applying. If you stay motivated and study seriously, you will succeed -- this is true for most people. I recommend you study the application prep material until you have every detail memorized before you apply as well. When you get accepted, be ready to work with people all day every day while you puzzle over coding projects. I only slept seven hours a night on weekdays because of studying and commuting. Slept 10 hours a night on the weekend. Be ready to focus on nothing but coding for the next few months. Do all of the above and you will get a job paying 60+K starting salary upon graduation. I really thought App Academy was somewhere between okay and good, but not great, curriculum wise, BUT when I was finished with week 9, I somehow knew everything to build an amazing website with multiple features. App Academy just doesnt give you the answer, they wont make it just put the knowledge on the surface. They will DRILL it in to you and make sure the knowledge is there. I loved this course and already started recommending to friends and family. Thanks App Academy! Well worth it, I'd do it again in a heartbeat. Prepare to dedicate most of your life over the 12 weeks soley to App Academy. Even as someone who was pretty experienced with other languages and had work experience, the curriculum was tough. There were weeks when I spent most of my free time studying or finishing up assignment. Compared to how much I knew before starting the program, I feel much more commpetent as an engineer. I have a far better understanding of the languages and technologies. that I use on a daily basis. Even in direct comparison to what I learned in CS in college, I learned far more practicality. Most of the theoritical and fundamental concepts were still taught, my cohorts did not miss out on much that CS grads receive. The staff were always extremely helpful and answered most if not all the questions I had, technical or career focused. They were also very accomodating towards certain needs. The friends that I made in the cohort are people enjoy talking about technonolgy and new developments, in stark contrast to my experience in college. Everyone seemed highly motivated to learn and succeed. Timur Meyster always dreamed of becoming an entrepreneur. When he realized his finance degree wasn’t going to help him actually launch his own business, Timur decided to build his technical skillset to create his own products. Since graduating from App Academy in 2015, Timur has flourished as a developer, working as a Full-Stack Engineer at augmented reality company Blippar. Timur explains how App Academy prepared him for the constant learning process that comes with being an engineer and how he’s carved out a niche on his team. Plus, Timur gives back to the bootcamp world with a podcast he co-hosts called Breaking Into Startups! Tell us about your education/career background and what led you to App Academy? I was born in Ukraine and came to the US in middle school. Growing up, I saw how hard my parents worked and I’ve always dreamed of starting my own company. My parents encouraged me to go into a traditional profession like finance, medicine, or law. I studied Finance at Emory University thinking that I could eventually start my own company, but I realized that a lot of the stuff you learn in school, like accounting and management, doesn't translate to building and launching a product or managing a team. That was a big disappointment because I thought I would graduate with those skills. I did two internships in investment banking, and realized I could make good money on that career path, but that I would be working long hours in PowerPoint and Excel. I wanted to exercise more creativity, and build something. I was following startups coming out of YCombinator and had the strongest urge to start something. But the one thing that stood in my way was that I didn't know how to code. How did you start transitioning into tech? Right after college, I worked as a Project Manager/SCRUM Master, leading iOS and Android mobile teams at Autotrader.com. But I didn't know how to code, so my job was more like a facilitator. It was very frustrating to be in meetings with engineers giving me reasons for why a project was late, but I didn’t understand enough code to push back. I started to learn some Ruby on the side and built tools to streamline my job as a SCRUM master. At that point, I started understanding what the engineers were doing on daily basis. Having seen the code base and the types of problems they solve, I realized this was definitely something I could do as well. That's when I started looking at different coding bootcamps and came across App Academy. What made you decide to take the next step and go to a coding bootcamp? I took some Codecademy classes, and took the Python and Java Coursera MOOCs, but I didn’t learn enough to actually build an app. My twin brother was working in investment banking and told me how his colleague quit his job, went to Flatiron School, and got a job as a developer six months later. Hearing his story inspired me to think, "Hey, if he can do it with a similar background to me, then I can do it too." I also considered going to Georgia Tech to get a Masters in Engineering. But I wouldn’t be able to do that because I hadn’t studied Computer Science in undergrad. On top of that, I wanted a quicker option that would get me a job. So I decided to quit my job, learn how to code at a bootcamp, and become an engineer. My goal was to see what it takes to release apps into production, and learn enough to build my own apps and launch my own company. What made you choose App Academy over other bootcamps? In early 2014, I had a lot of different options. For me, I wanted to attend a bootcamp that was difficult to get accepted to, so App Academy was certainly one of my top choices. I went on LinkedIn and looked up where App Academy alumni worked – they were working at amazing companies like Dropbox, Google, and Airbnb. The biggest selling point for me was the App Academy deferred tuition model. After college, I worked in Atlanta for two years. I wanted to move to San Francisco, but I knew it would be expensive. Most other bootcamps required you to pay tuition up front, and financing options that are available today like Skills Fund and Pave were not available then. So App Academy was the most logical option because as long as I had enough savings for my living expenses, I could do the bootcamp, get a job, pay them back, and become an engineer. 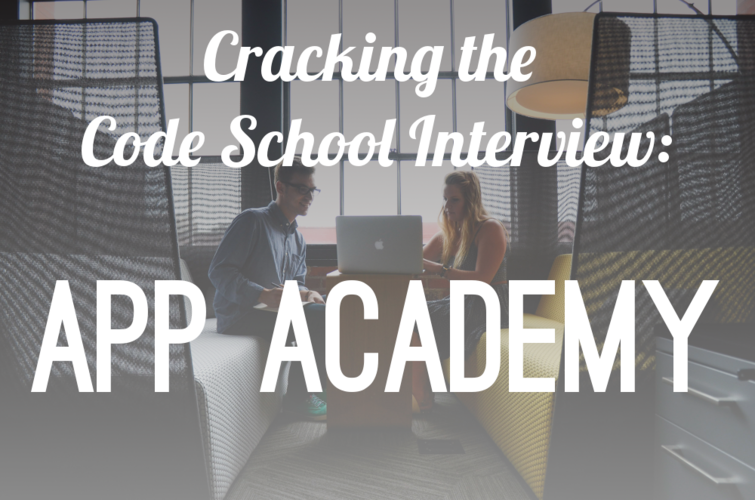 What was the App Academy interview and application process like? The application process was tough. App Academy makes it pretty transparent and shows you the bar that you need to meet and which concepts you need to understand and practice beforehand. They're looking for people who have an understanding of basic concepts like loops, arrays, and hashes. I spent four or five months on their practice problems and using websites like Codewars to practice different algorithm problems. Honestly, it didn't come to me very easily at first. A lot of times, I would have to do the same tutorial three times before I could understand it. Preparing for the App Academy application was all about the discipline of being okay with not knowing everything at first and working my way through each problem. What’s your advice to other applicants who are trying to get accepted into App Academy? In my experience, you need to mentally prepare yourself to fail. The first time you follow a tutorial you’ll have no idea why it works, then the second time you actually notice patterns, and the third time around, you'll start to make sense of it and it all comes together. At some point, if you do enough of those problems, you’ll be pretty ready to pass App Academy's exam. App Academy may have changed slightly since you graduated, but tell us about the learning experience. It's a very intense experience. But the time just flew by, it didn't feel like I was actually doing work; I was solving problems. It's like playing a game with your friend, except instead of playing it for an hour, you're playing it for eight hours a day for 12 weeks. By the end of it, you become really good at the game because you're pushing each other, you're holding each other accountable, and you don't feel like you're doing it on your own. The biggest difference for me compared with university was that a lot of time was spent working in groups on projects. That was unexpected because I thought there would be more lectures. We would have one lecture each day for about an hour on a new topic, then we had the other seven or eight hours to work in pairs, talk with our partners about problems, and internalize those concepts. How did App Academy prepare you for the job hunt? After the final projects in week 10, App Academy provides two weeks of career development where hiring managers talk about the interview process. Every day we were also paired up with someone in class to work on whiteboarding problems. Based on the history of alumni who had gone through a lot of technical job interviews, App Academy had a good idea of the types of problems that would likely get asked during job interviews. The job search is almost like a bootcamp in itself. You’ve learned the fundamental programming skills, but for the job search you have to learn how to go out and talk about the things you've learned and prove that you're capable of doing the job. My biggest challenge was figuring out how to tell my story in interviews, so that I could tie my previous experience in. How did you find your job after graduating from App Academy? My friends and I organized weekend hikes and invited people we met in San Francisco to go with us. On one of those hikes, I met an engineer at Blippar, which is a top Augmented Reality company. He put me in touch with the VP of Engineering when they were opening a San Francisco office. I showed that I'd done my research about the company, and I was committed to doing whatever it takes help out the team. They gave me that first shot and looking back now, I'm really grateful because I have learned so much since I've been with Blippar. That's such a great example of how networking can pay off! Do you have advice for other bootcamp grads on the job search? After App Academy, I applied to about 200 companies online. I did get some calls from recruiters, but the more effective strategy was going to meetups, happy hours, and work my way in through the back door. Applying online is the easiest way to apply for a job, but everyone else is doing that too. What I did was make a list of companies where I really wanted to work, then wrote a personalized cold email to the hiring manager or senior engineer to say, “I would love to pick your brain and ask questions about the company.” You're not asking for a job, just for a phone call or quick meeting where you can demonstrate the value that you can add. I connected with some of the biggest CEOs in the Valley, like Affirm CEO Max Levchin. You’ve now been a Full-Stack Engineer at Blippar for two years- congrats! Tell us about Blippar’s mission. In a nutshell, Blippar's vision is to bring augmented reality to the world. But we want to empower non-technical folks like teachers, advertisers, and business owners to create AR experiences and increase user engagement. For example, wouldn't it be cool if a math teacher could take a picture of the page in a textbook and drop in 3D models of a triangle? Then a student can now point their phone at the textbook, and see this 3D model on their own phone screen and move it around, increase or decrease its size, and see how the area changes. Another example is a restaurant owner who might add links or videos for each dish that's on the menu. So a customer can point their phone at the menu and click around on the dish items and see videos or pictures of the final product. We have three engineering teams across Blippar. The team I work on is doing the 3D editor web app, we have a mobile development team, and then a bunch of Ph.D. researchers who are working on object recognition. In total, Blippar is about 50 or 60 people; that includes QA testers, project managers and designers. Could you give an example of something you’ve worked on at Blippar? Over the last two years, we built this free 3D editor tool that anyone can check out. You can move things around in 3D, drop objects, and publish in the app so that anyone who points the app at that image can see the augmented reality experience. It allows someone with no technical experience to upload 3D models, animate objects, add videos, sounds, and explanations. A lot of the experienced senior engineers had never built an app like this before. So, in the beginning, we were doing a lot of research, to see how similar systems were designed and implemented. It's been a super cool journey because I didn't just learn about engineering, I also saw how the whole design process happens. I've learned about graphics, 3D, and how to combine meshes and textures. All my knowledge will be applicable to VR and AR – I'm really happy I joined Blippar. I've been on this 3D Editor project the longest out of anyone now, so I know the codebase better than anyone else. Other developers might have a decade of experience over me, but in the context of this particular app, I'm the expert on debugging. That's a great feeling, to be seen as a valuable member of the team. Did App Academy prepare you well for your first job as a software engineer? Since you've graduated from App Academy and joined Blippar, how do you feel you've grown as a developer? Coming out of App Academy I definitely felt prepared, but I've now internalized a lot of the concepts that I learned in App Academy by practicing them day-in and day-out. Looking back, I'm embarrassed about how I built my final App Academy project. There's so much depth to programming – that the deeper you go, the more you realize how much you don't know. How has your previous experience in SCRUM and finance been useful in your new career? My experience as a SCRUM master definitely helps me understand what other people on my team are looking for from me. You never work as an individual contributor when you’re on a team. You have conversations with a product manager who wants to create the best product and user experience. But from the engineer's perspective, your goal is to check off all the boxes for acceptance criteria. Having been a SCRUM master, I know that there are competing interests: QA will complain that engineers are writing bad code; designers will complain that they don't have enough requirements. I can relate and have empathy for various roles on my team. Looking back, do you think you would have been able to transition into this career without App Academy? App Academy also gives you strategies on how to negotiate your salary, and they teach you about data structures, algorithms and exactly what you need to pass the job interviews. All you have to do is absorb all that information. If your goal is to become an engineer, you should just do a coding bootcamp. Why teach yourself for a year if you can do it in three months? How have you stayed in touch with App Academy or the bootcamp world? Since I've graduated App Academy, my twin brother (who actually did a coding bootcamp too), my roommate, and I launched a podcast called "Breaking into Startups," where we feature stories of people from non-traditional backgrounds who broke into tech. Kush Patel, the founder of App Academy, is a friend of mine and we interviewed him on our podcast. 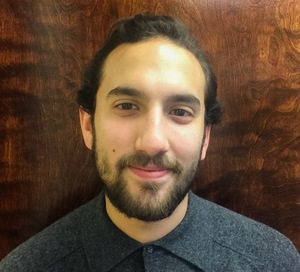 We've also interviewed Haseeb Qureshi, who used to be a Teaching Assistant at App Academy, then wrote a blog post on how he was able to get a software engineering job at Airbnb making $250,000. We talked to Yousef Soomro who was a 19-year-old who went through App Academy and became an engineer. I've definitely stayed in touch with my classmates, and via Facebook I'm able to see them get new jobs at companies like Uber, Facebook or Google, and how they are growing within their careers as well. Find out more and read App Academy reviews on Course Report. Check out the App Academy blog. 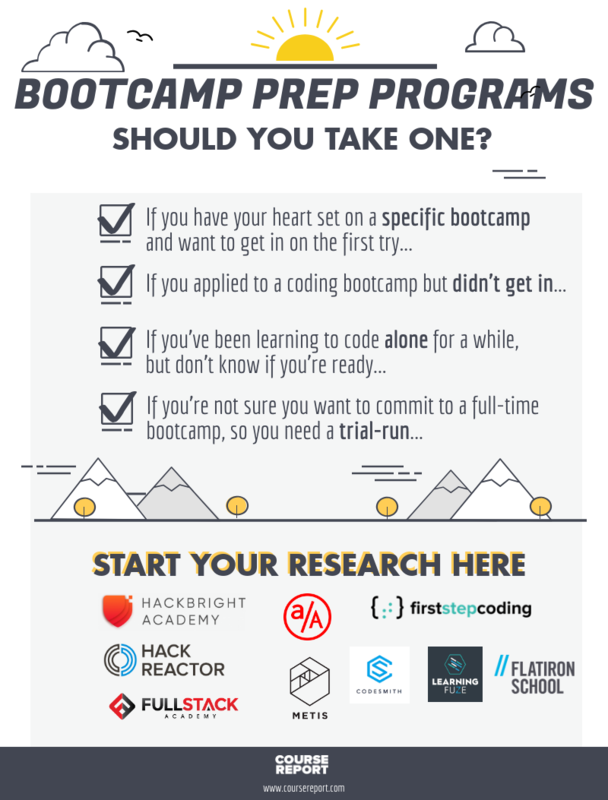 With the closing of Dev Bootcamp (slated for December 8, 2017), you’re probably wondering what other coding bootcamp options are out there. Dev Bootcamp changed thousands of lives, and built a great reputation with employers, so we are sad to see it go. Fortunately, there are still plenty of quality coding bootcamps in the cities where Dev Bootcamp operated. Here is a list of coding bootcamps with similar lengths, time commitments, and curriculums in the six cities where Dev Bootcamp had campuses: Austin, Chicago, New York, San Diego, San Francisco, and Seattle. Getting into an elite coding bootcamp is hard. You take a bunch of coding tests and technical interviews and it’s easy to get stressed out during the process. Top coding schools are also extremely selective. App Academy (where I'm an instructor) has an acceptance rate of 3% - that’s lower than Harvard. 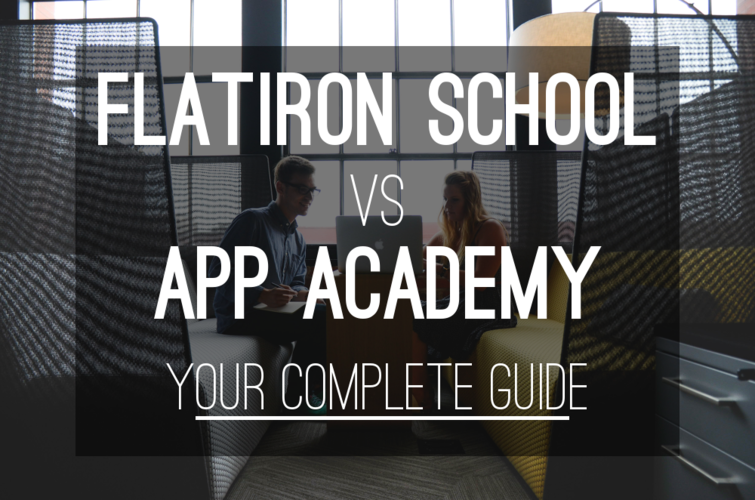 We explore the differences and similarities between App Academy and Flatiron School, two of the best coding bootcamps in the US. What type of student is each bootcamp best for? What's the culture like at each school? How does job placement compare? All of these questions answered and more! Thinking about applying to App Academy? With locations in San Francisco and New York, and their well-known option of deferred payment (until you get a job), App Academy is a great option for future bootcampers. But the App Academy acceptance rate is less than 5%- so applicants need to ace the coding challenges to be admitted. We're covering the App Academy interview and application process with input from our Q&As with App Academy alumni and founder, Kush Patel. Within two days, we mail you a coding exercise (with resources to prepare). You complete the coding exercise when you're ready. You may be asked to complete a second coding exercise. Within two days, we make a decision. The most important parts of our process are the coding exercises and a live coding exercise we do together during the interview. We accept a very high percentage of applicants who do well on these exercises. For applicants who are new to programming, we provide materials to bring them up to speed and teach them what they need to know to complete our exercises. The technical interview consists of one guaranteed coding challenge and a second coding test if App Academy decides you're ready to move forward. "After filling out the application, I received an invitation for a coding assessment. They sent me a second assessment shortly after I completed the first one, followed by a 15-question problem set. I spent about 20 hours on those exercises. I then had two live coding exercises." says Sarah Michaelson, an App Academy Alum. Remember that in a code school interview, you should be asking a ton of questions too! Here are 10 questions we suggest asking in a coding bootcamp interview. According to Sarah, an App Academy alum, the entire application process, from start-to-acceptance, took about 2 months. App Academy says that you'll have a decision within 2 days of the final interview, but this seems to vary. Coding Challenges are timed- you have up to 45 minutes to complete these. This Wednesday, our friends at LiquidTalent hosted a spectacular panel of women who discussed their experience at New York coding bootcamps and transitioning into their first jobs. Course Report was lucky to moderate the panel- here are 12 things we learned from this rockstar panel of lady developers! App Academy graduate Sarah Michaelson had a degree in Pre-Medical Nutrition Science before realizing that coding was in her future. After completing the 3-month bootcamp, Sarah got a job at Amplify through the alumni network, and talks to Course Report about challenging herself at App Academy, using their job prep and placement services, and settling into her Dev-Ops position at Amplify. Tell us what you up to before you joined App Academy? Before I started App Academy, I was working in marketing promotions - everything from serving beer at motorcycle races to costume acting at children’s events to demoing kitchen appliances at department stores. I also have a BS in Pre-Medical Nutrition Science from Purdue University, and I worked as a weight loss consultant for a little over a year. Did you take any computer science classes during your undergrad? I took one CS class as a graduation requirement. We learned a little bit of computer history and HTML. When did you start thinking about web development as a career? My two physicist roommates started looking for jobs as data scientists. They’d talk for hours on end about algorithms and natural language processing. I thought it was really cool and I wanted to participate, but I just didn’t know where to begin. I was irrationally intimidated by it. How did you come across App Academy? My roommates knew I wanted to learn to code, so one of them sent me a link to App Academy. I thought I couldn’t do it, but I saved the link to my Evernote account. Three or four months later, an ad popped up on my Facebook feed, I decided I was ready to give it a shot. Did you use online resources or read books to prepare? After I applied, App Academy sent me a list of resources to help me prepare for the first coding challenge. They suggested Codecademy and Ruby Monk, but I also searched for beginning Ruby tutorials. There’s a lot of good material out there. Did you look at other bootcamps or did you only apply to App Academy? I looked at other bootcamps, but I App Academy was my first choice because of their business model. I even said that to Kush (the founder of App Academy) during my final interview. What was the App Academy application process like for you? My application process was pretty long, but I think it’s different for everyone. After filling out the application, I received an invitation for a coding assessment. They sent me a second assessment shortly after I completed the first one, followed by a 15-question problem set. I spent about 20 hours on those exercises. I then had two live coding exercises. The second one included a mini-interview with Kush, the founder of App Academy. From start to finish, it took almost two months. There were 22 people when we started. One person dropped out on the first day, but everyone else finished the program. Did you feel like it was a diverse cohort in terms of age, gender and race? There were two women in the class so in terms of gender it wasn’t diverse. I was 29 and I was the oldest person in the cohort. Other cohorts had people in their 30’s, some people had kids. There were different racial backgrounds and some international students. Overall, it wasn’t representative of the population at large, but I don’t think anyone ever felt excluded or uncomfortable or unwelcome. Was there some overlap between different cohorts? There was a 3-week overlap. The last 3 weeks of the program are dedicated to getting us hired. My cohort started during the previous cohort’s hiring phase. Did your cohort start with pretty similar skill levels and technical backgrounds? I feel like most people in my cohort had little or no technical background like myself. Before starting the class, we all did the completed tutorials, we all had the same “pre-flight assignment,” which gave us the same foundation. How many instructors did you have for your cohort? Jonathan, the lead instructor, was nurturing as a mentor, passionate about teaching, and cared very much about each and every one of us. We also had two TAs - Sid and Tommy. They were former students, and since they had been in our position not too long ago, they could relate to us really well. They pointed us in the right direction without just handing us the answers, which was great. I don't know if they still do this, but at the time, it was common for a/A to hire former students as TAs. What did a typical App Academy day look like for you? The night before class, we had a reading assignment to prep us for the next day’s project. In the morning, you’d be randomly assigned to a workstation with another student and spend the day pair programming and figuring out how to accomplish the tasks outlined in the project. If you got blocked or stuck, you would call one of the TAs or Jonathan over to help. We had brief lectures daily, but never more than an hour; this program was very hands-on. After class officially ended, we sometimes would stay to tie up loose ends on the project. At night, we’d do our reading assignments, and start the whole process over again. Were the projects always assigned or did you get to create your own projects? The first 7 or 8 weeks was assigned projects, but we did have a capstone project where we pitched our ideas. The goal was to clone another website, like Facebook, Reddit, or Twitter. Can you tell us about your capstone project? What did you build? I made a clone of My Fitness Pal. It was a Rails app with some CSS and HTML for the styling. I pulled the real USDA food database which has over 10,000 very poorly formatted entries, so I had to write a script to parse the data. I spent a lot of time on the back-end work. Did you have assessments or exams during the course? We had weekly assessments on everything covered during the previous week. App Academy would write specs and you had to write code to make the test pass. Test-driven development is a common practice at a lot of companies, so the exam format was a good simulation of what you might experience while working. How many hours would you say you spent on App Academy? Class was 9am to 6pm and we had daily reading assignments. There were plenty of times where I kept working till 7 or 8 then I would wake up at 5 or 6 in the morning to do the readings, so I guess I spent about 12 hours per day coding or studying on weekdays. Is there anything you would change about App Academy?? I wish I had learned about the typical workflow for a company. “Agile” and “Scrum” and “Standup” are buzzwords in the industry and I didn’t learn about any of that at the time, so it was a little bit of a disadvantage when I was talking to recruiters. Did your class do a lot of job prep like practice interviews or resume building? After we finished our Capstone projects, we went through a 3-week hiring bootcamp. We received a lot of coaching about lectures about how to land an interview, what to put on your resume, and what you’re worth. We also had a hiring day to showcase our capstone projects. From the technical side, I never met a technical interview that I felt like I couldn’t handle because we did so many white board exercises. I felt really prepared. Did App Academy support alumni in their job search? Yes, we had a job tracker which contained a list of thousands of tech companies in both the New York and San Francisco Bay area. Alums who were hired by those companies often became points of contact for new grads. Does App Academy have employer partnerships or a hiring network? App Academy has informal relationships with many companies who want to continue hiring App Academy grads. It’s like having a degree from Harvard - people recognize the name and they want you to work for them. I’m a DevOps engineer at Amplify. We handle tasks related to deployment, spinning up environments, automated testing, and continuous integration. The team I’m on is called Developer Services, and we build tools to make the lives of developers easier. How did you get that position at Amplify? Networking is so important. One of the alums who works at Amplify picked up my resume, and that’s how I landed an interview. After accepting their job offer, I worked as a Software Engineer in Test (which is a QA-like role) for about 8 months before moving to the DevOps team. How long did it take you to get hired? It was really fast - I finished the program at the end of March and signed my agreement in mid-April. Do you feel like you have the support at Amplify to help you ramp up and keep growing? Oh, absolutely. They’re incredibly supportive and flexible. Pair programming is really important at Amplify, so I have a lot of opportunities to pair with talented senior engineers. I also have a lot of autonomy. That’s how I moved from the developer track to the Ops team - I was tracking a bug, and I fell down the rabbit hole into our Continuous Integration process. My tech leads were supportive and allowed me the freedom to explore it. How have you stayed involved in the community? I’ve been going to the App Academy hiring days for both recruiting and networking with my old cohort. I also volunteered at CodeMontage and RailsBridge, two organizations that aim to introduce women and minority groups to Rails. I just wrote my first proposal to speak at a conference, but I haven’t heard back from them yet, so I don’t know if my talk has been accepted or not. Is there anything you’d like to add about App Academy or your experience in general? App Academy was a great decision, perhaps one of the best decisions I’ve made in my life. I would recommend it to anyone, especially if you’re dissatisfied with your current position, scared or uncertain about your future. Going to bootcamp not only developed my technical skills, but it gave me confidence, which is exactly what I needed to be successful. If you’re hesitant or skeptical, that’s good! But you should go for it anyway. You’re worth it. Learn more about the deferred-payment coding bootcamp on App Academy's website! While TJ Hawbaker wasn’t a fan of the college experience (he dropped out of two undergraduate degrees in nuclear engineering and computer science), he knew he loved making games and programming. After travelling the United States and doing his research on coding bootcamps, TJ was impressed with App Academy’s unique deferred payment option. TJ met his current employer at App Academy’s Demo Day and now loves his job as a software engineer at social media news aggregator Banjo. We chat about the appeal of App Academy’s payment structure, the positive pressure of weekly assessments, and how he’s ramped up at his new job. Tell us what you were up to before you started at App Academy. I dropped out of school twice, each time after just one semester. I studied Nuclear Engineering at University of Tennessee and Computer Science at a small school called DigiPen in Seattle, then I spent three years traveling around the United States. I was teaching myself programming but didn’t know how to make the jump from hobbyist to a career and that’s why I sought out App Academy. After you dropped out of college and were travelling, were you teaching yourself to code were you using Codecademy or other online platforms? I’m definitely the exception relative to others that went to App Academy. Most people have very little coding experience. I was used to the concepts already because I had been teaching myself. I studied to program video games at DigiPen so when I dropped out, I continued coding for fun.. I made lots of very simple games like Bejeweled and little shoot-em-ups. When did you decide to do a coding bootcamp? I decided a full year before attending. I realized that I really wanted to code for a career and I saw App Academy as a perfect opportunity for me. I’m not the kind of student who wants to sit in a classroom listening to lectures all day. At these bootcamps, you’re learning something new every single day that you’re actually putting to use. Was your goal to get a job as a developer once you finished App Academy? That was definitely my goal at the time. Ultimately, I wanted to get some professional experience under my belt, but in the near future, I want to be working as a cofounder. Why did you choose App Academy? Did you look at other bootcamps? I looked into Dev Bootcamp and Hack Reactor. They seemed to all have good track records, but I only applied to App Academy. A lot of it came down to the payment structure. App Academy is the only bootcamp that students can attend for free, because the school only gets paid if the student finds a job. That made a big impact on me, first because I didn't have money to pay for an expensive bootcamp, but also because, I felt like if these guys wanted to get paid, they would have to get me prepared. What was the application process like for you? Did you have to do a technical interview? It started out as a simple application process; I sent in my resume and told them why I should be admitted to the school, then there were a couple of coding challenges which they provided prep material to study for. After those coding challenges I went on to interview with one of the cofounders and had a final live coding challenge. We did all of that over Skype. 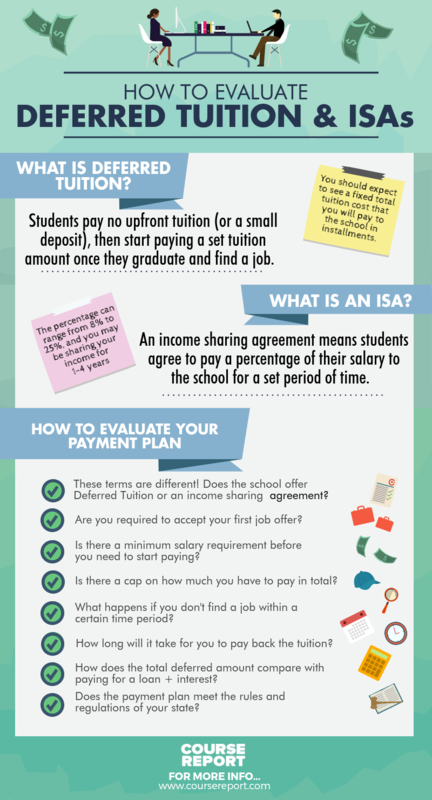 The tuition structure at App Academy is unique, and you chose the tuition deferment option- what was the agreement? The job that you accept after App academy is your choice completely. You can get multiple offers and accept the one best for you. The payment structure for App Academy is that they take a percentage of your first annual salary. There are tons of companies out here that are hiring engineers so I think it’s more important to find a cultural fit than to choose the highest starting salary or accept the first job offer you get. I believe that we had about 45 of us. The size of the cohorts varies. From my understanding after speaking with some of the cofounders, App Academy accepts as many people as they feel are qualified for the class. Was there enough space and instructors for 45 people? Yeah, there was definitely enough space. They have a very good system where they hire TAs from the class that just graduated. These are people that just finished the class and know the material – usually some of the most talented people in the class. There was always someone available if you had questions! How many head instructors did you have that weren’t TAs? I had two head instructors. One of the cofounders, Ned, and CJ, who has been the head TA for two years now. They were both fantastic teachers and truly smart guys. What did a typical day at App Academy look like? A typical day usually started with a lecture on some of the more complex subjects. Sometimes they would run up to one hour but generally they were pretty short- 20 minutes or so. Then we would start pair programming, where we would work on a project or set of problems for the whole day with a partner. Were you assigned those projects? That’s right. It was at least 90% hands-on training every single day. We were learning so much so quickly. We had to study for the material that night, so everyone came to the class prepared each day. Was everybody in your cohort on a similar technical level? If not, did it even out over time? Everyone starts App Academy with different expertise. You’re going to be pairing with people who know more than you about certain things or less than you about others, but you can learn from both experiences. If you don’t quite understand the concepts, having someone work through them with you is essential. On the other hand, if someone doesn’t understand a concept, you get to teach them and it reinforces those concepts in your own head. Did you feel it was a diverse cohort in terms of age and gender and race? Our cohort was diverse in terms of race and age, but less so in terms of gender. I think we had 6 women. I think App Academy is very selective in the type of people that apply so that factors into the cohort makeup more than anything. All of my classmates who were able to go through the program successfully were all highly driven, highly motivated people, who were willing to take risks. I think that is the single most determining factor of who was actually in my class. How many people graduated with you of the 45 who started? Did a lot of people drop out? I want to say there were 4 or 5 people that didn’t complete the program. App Academy has a 10 – 15% attrition rate every cohort; and I think it’s for a good reason. It’s such a fast-paced environment, you can’t afford to be pairing with people who aren’t as motivated to keep up with the rest of the class. Did you have exams or assessments? Yes, we had an assessment every week. If you failed two of these assessments, you would be out of the program. Was that a lot of pressure? It was! It was a good pressure. It kept us motivated throughout the whole program. Every day you’re learning something brand new that is completely different than the day before – and the assessments kept you on track. Were you tested on material from that week or tested cumulatively? Each test was on material from just that week. Usually the assessments were on Monday mornings so you had the whole weekend to do some practice tests, reinforce the ideas in your head. You would be fine as long as you paid attention and studied the material. It sounds scary that you can get kicked out, but they actually made it very reasonable. How many hours a week were you spending on App Academy in total? It was pretty much all of my time. I moved in from out of town and I was living with a bunch of other people that were also going through the program. Even though the classroom hours were 9 to 6, when I got done with class I was just coding more with people who were also in the class. I’d say at least 14 hours a day, 5+ days a week. Aside from the teaching style and the environment, were you satisfied with the curriculum and the actual material that you were taught in the class? Honestly, I feel like App Academy gave a very good overview of web development. You may be learning Ruby on Rails for two weeks in the program, but it’s not really about learning how to use that framework. It’s more about learning how to learn any framework. They teach students how to teach themselves. In this industry, that is certainly a key to success. Since leaving App Academy I’ve picked up a few other languages and a ton of different frameworks; it’s a nonstop learning process. Are there things that you didn’t expect or that you wanted to change about the experience? Were you able to give App Academy feedback? Every student has access to the curriculum and could make suggestions and offer ways to change it. That’s how the curriculum has grown to be what it is today. Was the curriculum changing as you were going through the class? Yeah. Each cohort they’ve iterated on the curriculum to see what works and what doesn’t. The curriculum has changed since I went through it but it’s definitely moving in an even better direction than when I was there. Besides pairing with individuals on assigned projects, did you also do a capstone project? Yeah. We spent 7 weeks pair programming, then we had two weeks or so where we built projects from scratch. Mine was like the game of Telephone but using drawing instead of whispering. A user would draw a picture, then the next user would have to describe that picture with words. The next user would have to draw that description without any context of the original drawing. This would continue for 10 - 15 users. It lead to some pretty hilarious chains! What technologies did it use? It used things we learned in class: Ruby on Rails for the back-end and Backbone for the front-end framework. When did App Academy start prepping you for interviews and resume building? That happened after week 9. Once we’d finished final projects, there was about three weeks of nonstop prep work. Every day you were updating your resume, creating your personal website, and fixing up projects to show employers. We also had daily algorithm lectures and practiced whiteboarding problems. What are you up to now? Did you get a new job? I’m working as a software engineer at a company called Banjo, which captures and organizes all the public social media data in the world that we can get our hands on. We do this in real time and by geo-location, so users find out about events as they happen all over the world. I love what I do. How large is the team that you work with? Did you feel supported at your new company when you started at Banjo? I wouldn’t say there was any hand-holding by any means, but there were senior team members who I could turn to if I had any questions.. The whole industry in general is very cooperative and because of that it’s very easy to grow once you start a job. Did you get the job through your own networking or through App Academy? App Academy does a demo day where employers come and check out your projects. I knew that because my resume was sparse, I would have to wow employers with my final project. At Demo Day, the Banjo team loved my project, wanted me to come in for an interview and I eventually got a job. How long did it take you to actually get hired after you graduated? For me it was about 5 weeks. Compared to the industry that’s pretty good. But there were people in my class who got hired within a couple of weeks. There were also people who struggled a bit and didn’t get hired for a couple of months but eventually found a job that they really enjoyed. What is App Academy’s approach to alumni support? Are they tracking your job search? Simon, the COO, helps people find placement. Because App Academy is very selective in the sense that the only people who apply there are highly motivated, generally those kinds of people don’t have trouble getting jobs. Every once in a while people can struggle and that’s where Simon comes in. He’ll help you set up interviews or he’ll bring people in to interview. What types of people do you recommend App Academy for? I would say App Academy is for people who don’t like the traditional schooling system. It’s more like a trade school. You should be motivated to learn about something that you actually want to use. App Academy gave me the opportunity to work in an industry that I love, doing awesome stuff every day, which is an opportunity that I would never have had otherwise. Want to learn more about App Academy? Check out their School Page on Course Report or the App Academy website! After teaching himself to code through online resources and attending App Academy in San Francisco, Erik Trautman created The Odin Project, an online, open-source education program that teaches aspiring web developers to code and become job-ready. We talk to Erik about his views on education and technology, tactics to build online communities around education, and why The Odin Project can be the answer for students who aren't in a position to attend an in-person bootcamp. Tell us your story and how you got involved in the learn-to-code movement. I actually spent 5 years in finance. I was a West Coast Power and Gas market analyst and trader working for various banks, energy companies and hedge funds. It’s an incredibly interesting and intellectual career, but, at the end of the day, it wasn’t really a fulfilling career. I'm ultimately driven by the desire to make an impact -- when I’m shriveled and done in my lifetime, I want to look back and say that I had a very strong, positive impact on the world around me. Thus I’ve always wanted to build a business or at least create something that was adding value in a more permanent way. So about 2 years ago I decided to move on and learn how to code. I wanted to get into tech because I think that it provides the highest degree of leverage in order to create impact and change. Education too has a major impact and one that reverberates through generations – teach one person and you've potentially taught thousands of people down the line. When you combine education and technology, you have this incredibly interesting chance to provide a high-potential impact to a lot of people. That’s really cool to me. I initially learned how to code mostly through online sources. I picked up a book and started pinging through all kinds of different online resources. I went through a Udemy course, “Become a Web Developer from Scratch.” It was one of the most successful courses on Udemy; kudos to them but I really didn’t like it. I thought it barely covered the surface of the material, the production value was terrible, the whole learning experience was just poor. Even though it was probably one of the best online courses out there at the time, is just gave me this thought that online education could be so much better. So then how did you continue your education offline? I started App Academy in 2013. I had been taking a lot of these courses online and, like many people, I didn’t feel like I had a clear path. I felt like I was learning a lot of things but none of them were bringing me necessarily closer to the ultimate goal of being a real web developer. I could take a course on Coursera and spend 200 hours working on the course material but, if I laid it all out on a timeline, I didn’t actually feel like I was 200 hours closer to being an effective web developer. That search for a strong path was probably the main reason why I decided to go to a bootcamp in the first place. I had a really good experience with the program at App Academy. I was particularly fond of their tuition model, where you don’t pay until you get a job. That accountability for outcomes is something that’s really missing from education in general. Since I had such a positive experience in the program, I worked there during the next cohort to help them grow the business. During that time I did a lot of admissions work -- I read at least a thousand applications and interviewed more than a hundred prospective students. I saw a lot of people out there who were looking for these kinds of solutions but for whom traditional bootcamps are actually not the appropriate solution; whether it’s monetary, time-commitment, life cycle… there are so many reasons why a bootcamp may not be appropriate. So that’s how I turned to The Odin Project. I left App Academy and started the project with the mission of providing a free and open resource that gave people a clear path and lifted the curtain on being a web developer. Tell us about The Odin Project and it’s goals. I think that there are three major pillars in education: You need a path forward, you need access to help and you also would ideally like to interact with people around you. In-person education traditionally tends to provide these things well. Online education has tended to serve them very poorly. The path forward for me was always the strongest because you have to know where you’re going before you even start, otherwise you’re just floundering around. So the number one goal was to create a curriculum. The second most important for me is very much about the social aspect; giving people the opportunity to learn socially because it’s incredibly lonely to be learning this stuff if you’re staring at a computer screen. You could spend two days working through a bug that would take you 10 minutes to get past if you worked with someone else. Once you have that community then you can start working on connecting them to make learning more of a social experience. That’s been the growing arc of the project as we go forward. How do your students communicate with each other and operate as a community? We have two types of students right now. First off, we have a number of students who have gone through the curriculum and expressed an interest in building real projects and working on something together. I had an epiphany in December 2013 and asked a group of them if they wanted to work on the Odin project since it was, in fact, a "real" open source project. When they agreed, it began a cycle where these students were actually building the project they simultaneously used to learn. We began by running weekly SCRUM meetings which have become daily SCRUMs. We have teams of students using agile methodologies to build the project that they’re using to learn. And that’s a great community. You have people who have just stuck with it for 6 or 8 months now. Maybe they’re not even using the Project anymore but they stick around as a part of the community; they’ll come to the SCRUM meetings and hang out and talk with their friends. The other big community elements are the study groups. Another group of Odin Project students early this year said they wouldn’t be able to get through it without other people. I was still focusing on the curriculum during this time and just didn’t have the bandwidth to handle it so I gave them a corner of the website and told them if they wanted to lead their own study groups, they could as long as they coordinated the groups themselves. So those are the two main community elements we have right now. Obviously building a community takes a lot of time, but we’ve started seeing it more and more since the project's launch. How many people are in The Odin Project network? I just published the last three courses about a month ago and we’ve got about 4,000 users right now. We’ve had about 200 pull requests from users on the curriculum submitting solutions and bug fixes and things like that. The community of people who have made meaningful contributions to the project is in the dozens. They're all listed on the Contributing page. What kinds of struggles have you faced in starting The Odin Project? We’ve learned a whole lot along the way in terms of how people consume content online, how you organize people online, how you teach people online and how you use industry methodologies and attach them to groups of learners. We’re working with people who are beginners, who are remote, who are part-time, and who are volunteers. You could not ask for a worse batch of factors but we’re able to wrangle that together into a process that actually works. That’s pretty cool. You’ve chosen to keep The Odin Project free. Will it always be free? Originally, the idea of the project was to monetize it through a premium services model -- if you’re interested in mentorship, we would give you access to mentorship, although something more affordable like a peer mentorship. At this point, my direction has definitely shifted a little bit, and I don’t really see The Project monetizing directly. It may be able to generate some leads to other projects or other helpful things that can be sustaining for it. What are the expected outcomes for someone who has completed The Odin Project? Do you expect that somebody could get a job or get a promotion at work? The project covers the entire gamut from zero to job. If you go through the entire project, then you should be job-ready. The very last course of the project is entirely based on how you can get hired as a web developer. The whole point of this was to provide the entire spectrum, where everyone else had only focused on a little piece of it – which is why it took almost a year to actually build out the curriculum. The strongest and most difficult outcome is to go from zero to actually being hireable as a junior developer. If your goal is just to build websites, you don’t necessarily need to dive as deep into everything; you don’t need to cover the whole 1000+ hours of content that we have, but it's there if you need it. Do you track those outcomes? Not quantitatively. I keep in touch with the people who are going through the project and who take leadership roles or participate in the SCRUMs or study groups but the full curriculum hasn’t actually been available for long enough for people to finish it yet. Do students create their own projects to build their portfolio? Actually, the whole bent of the curriculum is to be project-based so there’s a project every lesson or two. They’re designed to be projects that are legitimate and immediate, not just scaffolded toys but real things. Then at the end of the major courses, we have capstone projects. So at the end of the Rails course, your capstone project is to build Facebook. At the end of the whole course, your capstone project is much more of a free thing that says you should be able to demonstrate these skills and if you do so, that’ll help you if you’re ultimately looking for a job. The portfolio is more important than the credential in web development, or at least the balance is significantly shifted. We focus more on the portfolio because we can’t really offer a credential and seeking one might not be the best use of student resources. Can you tell us about the Coding School Alumni site? What’s the motivation behind that? The bootcamps themselves have strong identities about who they are and what they’re teaching, but ultimately when it comes down to it, they’re all teaching a very similar set of people. The students are all highly-motivated, geeky people from a really diverse and interesting set of backgrounds who are focused on technical things. So that was the idea of setting up this group- I should be able to know the 17 people who are in my bootcamp cohort plus the 200 people who are in other bootcamps alongside me. You couldn’t possibly ask for a better group of people. Also, we’re acknowledging that there are challenges that occur after you’ve left the bootcamps. We’re all still suffering from “imposter syndrome.” None of us went through CS programs; and there’s a set of common challenges that don’t stop after Week 12. As one voice we can help each other a lot in terms of resources and learning and even, if necessary, as a strong group of people who can affect change needed in the industry itself down the road. Other than students who are contributing to the open source project, do you have full-time employees helping you with The Odin Project? No. It’s a group of part-time volunteers. Any plans to do something in person? The in-person model has never really been as interesting to me as the online model. Online education has so much more room for improvement and so much more opportunity for scale. It’s too cool to give up! Thanks so much to Erik for chatting with us about his experience at App Academy, The Odin Project, and more! 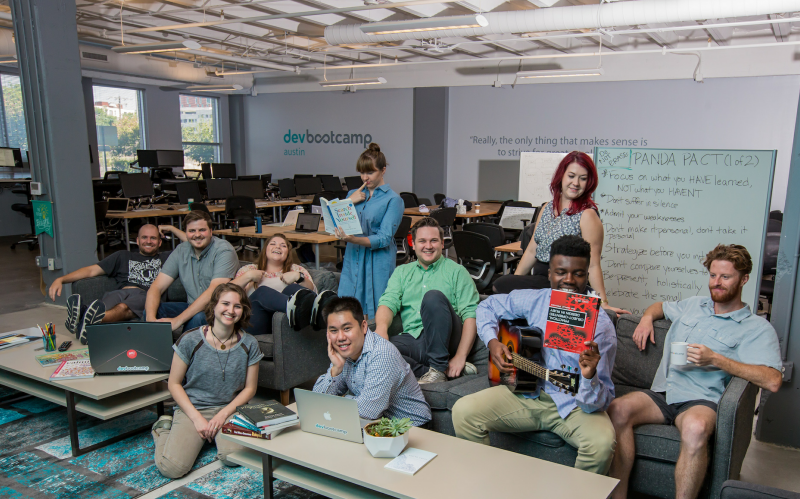 Featured on The Daily Muse: Ask Yourself These Six Questions When Choosing a Coding Bootcamp! There are more than 65 coding “boot camps” in the U.S. alone, each boasting different tuition models, language specialties, and teaching styles. So, before you ceremoniously quit your job to be the next Zuck, ask yourself these six questions to guide your research... continue reading. Kush Patel graduated from the first cohort at Dev Bootcamp and saw some room for improvement, so he created App Academy in 2012 with Ned Ruggeri, a former Google engineer and fellow University of Chicago alum. We talk to Kush about App Academy’s application process and why they charge students tuition only after they get a job that they want to accept. What is your story and how did you end up in the Coding Bootcamp space? Do you have a background in education? I graduated from the University of Chicago and went to work at a hedge fund in Bombay. I really enjoyed that, but I was looking for a change, so I decided to come back to San Francisco to get involved in the startup scene. I attended the first class at Dev Bootcamp, and I really enjoyed the experience, but also saw a few places where changes could be made. To be fair to them, it was their first class, and they’ve made significant changes. We were also excited to do a mobile version of the bootcamp. My cofounder, Ned, was working at Google on the Search Index Team and has been a developer for 10-15 years. I had actually met him in college, and he was always the person I went to for help with math, stats, computer science questions, just because he was a fantastic teacher. We decided to start the first iteration of App Academy- the first class we taught was an iOS course, so half web and half iOS. After that, our classes have all been purely web development. Why did you switch from iOS to purely web development? A couple reasons. First, our goal has always been to train software engineers to write quality code. To be a legit iOS developer, you want to be able to create backend web services that feed data into your iOS application. Unfortunately, teaching web as well as iOS in a 12-week course was just too much to ask. Our other goal is to find people jobs, and the market for junior web developers was as strong as the market for junior iOS developers, so we were covered there. It’s possible that we might have a two-week iOS course available to students who have completed the 12-week web development course, but by the time students are done with this course, they could learn iOS in a couple of weeks. At that point, they already understand the fundamentals and can apply those to learning iOS software development. Which programming languages will students master in the 12 weeks at app academy? We have equal emphasis on Ruby and JS. We want to train students across the stack, and introduce students to programming through Ruby. That said, we try to teach as much language and framework agnostic software development as we can. We have roughly a 5% acceptance rate into our program. The average San Francisco cycle is 40 students, and the average NY cycle is 20 students. 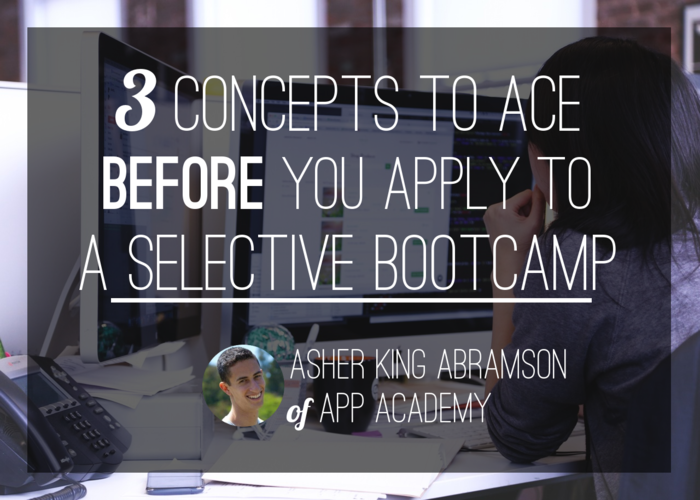 How does App Academy select instructors? Ned is now the lead instructor in San Francisco. We’ve tried to hire externally, but we’ve always had a hard time doing that. Since our bar is set very high at App Academy for students, we recruit the top 5% of our students to be our Teaching Assistants. They are usually students that have come in with a few years of experience under the belts. What are you looking for in potential students? We are cool with complete beginners, and have seen complete beginners be extremely successful in the course, and go on to work for fantastic companies and make crazy salaries. Our application process is customized to the applicant. If someone comes to us with no experience, we’ll assign them some introductory exercises and give them a coding test that would be appropriate for them. We do multiple coding tests and interviews to really get a sense of the applicant. Once a student has been accepted, what type of pre-work is required? Everyone who shows up on the first day of class can write a non-trivial computer program. After we accept a student, we give them 50-100 hours of prework. We think it makes sense to just focus on Ruby in the prework. We believe very strongly that the best way to code is by doing. This was a major problem when I learned to code- I went about it in the same way that I learned math- by reading for 90% of the time an doing proofs for 10%. For coding, you have to flip that on it’s head. Of your average 18 person cohort size, how many are typically male vs. female? Last time I ran the numbers, we were ~20% female. We’ve been lucky, and we’ve tried to do outreach, especially since there are options like Hackbright Academy (an all women school) around the corner. But given the overall environment (an average CS program has 1 woman out of 10), I think we’re making progress towards the goal. So there are a number of online boot camps and online classes that teach Ruby and other languages. Why do you think in-person classes are the most effective? One of the main reasons that these courses succeed is the immersion aspect. You’re going to be living and breathing this, and one key aspect of immersion is community- we have 30-40% of students living on campus. It shows you how tightly knit these people are, and there’s a natural competitiveness as well. We’ve had many applicants who have graduated from Bloc or Tealeaf, and I’m not sure that they know anything more than another applicant. I’m not sure that we can ever get to that point. App Academy is one of the only boot camps that we’ve seen that only takes tuition if the student gets a job offer. Why did you decide on that payment model? This is one place where we saw that we could offer an alternative to Dev Bootcamp. I don’t think it’s a flaw to charge tuition up front- that’s business as usual. But we were confident that we could teach people a lot in 12 weeks and get our graduates jobs, so why not put our money where our mouths are and decrease risk to students. How does App Academy help your graduates find jobs in tech once they've completed the program? Since we only get paid when we help a graduate find a job, we basically don’t stop working with students until they find a job they’re happy with. It takes an average of 4 weeks in San Francisco for graduates to find a job and roughly 2 weeks in New York. It happens pretty quickly, but we do a ton to help make that happen during and after the course. During the course, we’re helping students build a portfolio and an online presence, doing a bunch of whiteboarding problems, resume polishing, interview practice, and making introductions to companies. Can you explain the relationships that App Academy has with partner companies? We have a good number of partner companies, and also a huge network of companies where our graduates are working now. So the App Academy alumni network is huge- a student can get introductions through current developers, which really increases their chances of interviewing. There are huge network effects with the alumni networks at these schools. If a graduate chooses to take a job with one of your partner companies, does App Academy offer them a rebate on tuition? Do you get a fee if this happens? We get a recruiting fee if we place a student at a company we have a placement agreement with, and in that case, the student gets a discount of $5000. Are the recruiting fees the same for every company? No, it varies from company to company. The job placement stat on the site was "over 95%.” Have you seen the same success in recent months? If I look at the past 8 months in San Francisco and New York, 100% of students that have had enough time to complete the job search have been placed 100%. The average salaries are $103k in San Francisco and $85K in New York, and have risen higher for recent cohorts. Aside from your clearly unique approach with only charging students tuition if they get job offers, what else makes your boot camp different? The course is not for everyone, but if job placement is important to you, look at our recent statistics and match them against other bootcamps. Also, we’re a full-immersion course, including living on campus, so that is an important aspect. And third, our tuition model goes beyond low risk, free housing. We have a different incentive structure from other schools. We’re focused on getting you a job that you’re happy with- we’re not just checking boxes when you get an offer. We want to find you a high-paying job that you want to take. Interested in learning more about App Academy? Check out course descriptions, cost and more on Course Report! Any other information you'd like to share with App Academy Admissions from App Academy? By submitting, I acknowledge that my information will be shared with App Academy. An email with these details has been sent to App Academy. You've already applied to this scholarship with App Academy.